This sums up how I feel right now. I’m looking forward to hopefully not being in this pain much longer but I am dreaded the lead up to the surgery date and what that morning will be like. 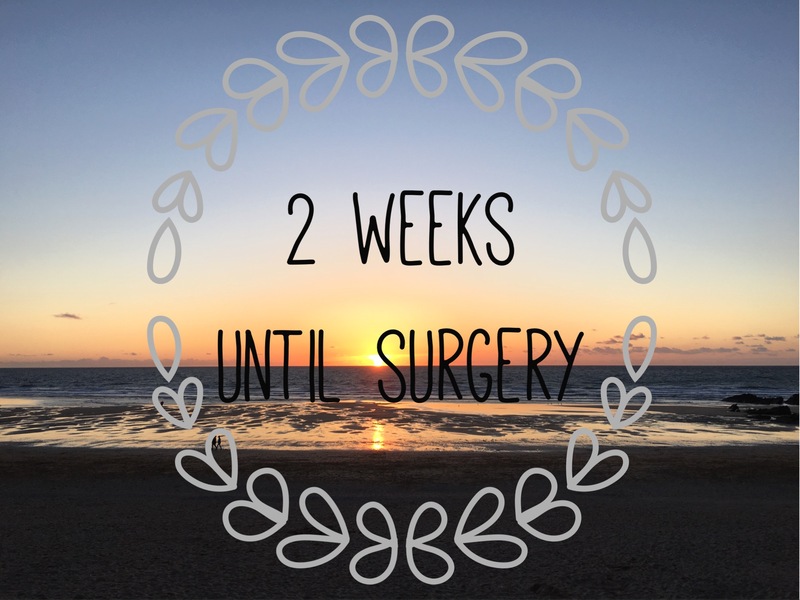 Because its all new to me – being my first surgery and all – I’m really anxious. And apprehensive. 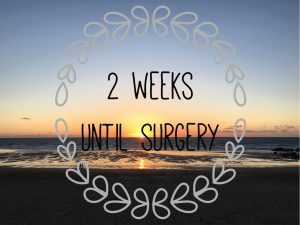 It’s two weeks until my surgery. I’ve finally had all my paperwork for my pre op and my admission for the actual surgery. It’s come around fast. Faster than expected. Even though it was only a month away when I got told it was provisionally booked. Since then all the pain I had been feeling at a mild level has definitely escalated. I’ve been house bound most days since we got home from holiday; being unable to leave the bathroom for good lengths of time during the day and having many broken nights of sleep to boot. So, if that is enough to go by, I am ready for surgery. Diseased bowel and a cyst without medication to help lessen the progress of those issues is tough. I know it could be worse and I could be forced to be tougher but I’m mentally drained. So I am hoping for the painkillers to keep working and I get through fourteen days without too much trouble. We – the boyfriend and I – are due to go away to Cardiff on Saturday for our last weekend away together. I’m not feeling wonderful as it is, but I don’t want to not go. This is the tough part; having a body that could fail at any moment and not wanting to miss out on life. Controlling my emotions and pain levels go hand in hand; trying to be level headed, calm but also happy is difficult when all you feel is pain. Of not wanting to eat. Of having constant stomach ache. It would be nice if it could just disappear for while. But I know that won’t happen, and even if it did, when it returned it would be more intense. Constant pain is better than unexpected and stronger pain, right? I don’t know at this point.. I have 10 days before I am back in hospital for my pre op appointment. Hoping to get everything at home sorted by then, so I can focus on being calm. I know I need this surgery and I am ready for it but I am anxious and apprehensive. The unknown is what I fear the most but I have good people to look after me; nurses, doctors, family and friends. This is just the next chapter of my IBD.